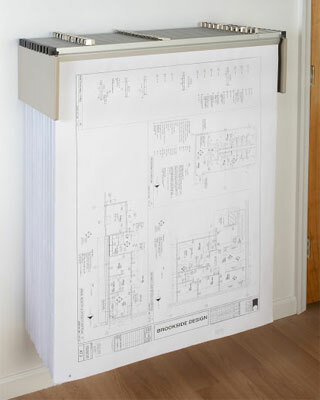 Brookside Design Premium Blueprint Drop Lift Wall Rack Bundle includes Dozen 30" Clamps. Everything you need to get organized. We've especially bundled this product with 12 clamps. 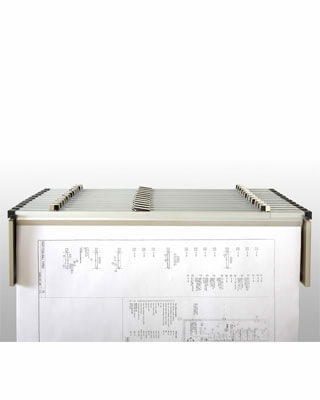 Provides compact drop-lift storage for 12 clamps from 18” to 42” long and sheet sizes to any length. Clamps lift out and drop in for easy access. 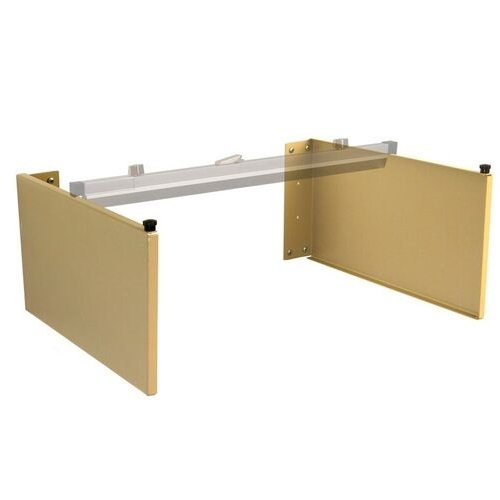 Extends 15” from the wall – ideal where space is limited. Width (with 30" clamps): Approximately 30 1/2"